Need Emergency Denture Repair in Lincoln, NE? We Can Help! Having dentures is already difficult, let alone having broken dentures. Dentures break all the time and usually during the worst time possible. Because of our emergency dental team, we see cases of broken dentures at our offices often.. The good news is that it means we know how to help and every location of Nebraska Family Dentistry offers emergency denture repair. Dentures can break from a handful of things. When dentures break, it isn’t always apparent. Sometimes small cracks and fractures happen, predisposing your dentures to bigger breaks in the future. Your face also naturally changes when you wear dentures. When you lose your teeth, their roots are no longer connected to your jaw bones. As a result, your face naturally begins to lose bone mass over time. Over time, your dentures become less and less of a good fit, since the shape of your face changes significantly. These changes can cause your dentures to break too. Having your dentures replaced regularly – every seven years or so – is essential for maintaining a good fit. Dentures also endure a large amount of pressure and change, since they have to handle frequent speaking and chewing. It’s also natural for the materials from which your dentures are made to deteriorate over time. The difficulty of denture repair in Lincoln, NE will depend on how badly the dentures are broken. You can sometimes use a simple bonding material to repair them. Other times, however, it can be a little bit more involved. 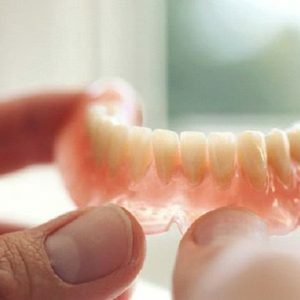 Regardless, although you can have your dentures fixed, they’ll never be as strong as when you first had them made. 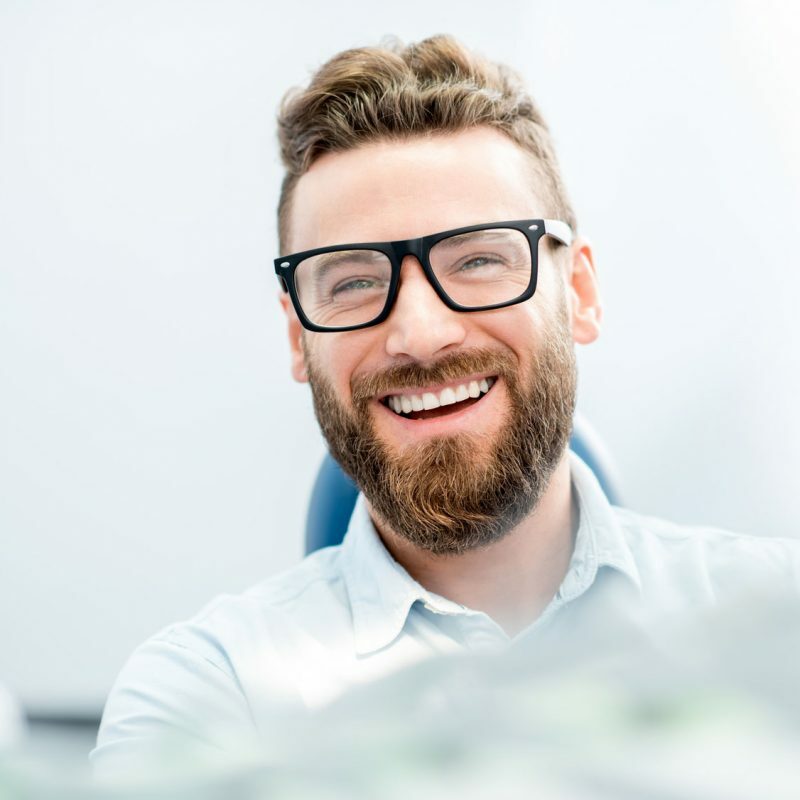 If you’re having a more difficult repair done, it may be necessary for your dentist to take a new impression of your mouth and make a new denture. If it’s merely a cracked or lost tooth within your dentures, we can usually send them to a denture repair lab in Lincoln, NE to be fixed. They’ll just match the current shape of the other teeth, so it blends in and looks natural. Sometimes, small chips can be fixed without even being taken to the dental lab. Visiting the dentist often is always a good solution, and can be just as important for denture patients. The first step in having your dentures repaired should be to have them checked by your dentists in Lincoln, NE and they will advise you on what to do next. 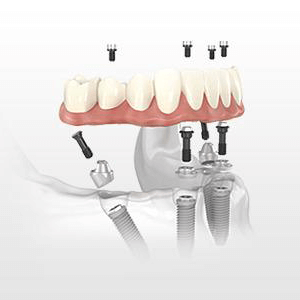 Hybrid Prosthesis is a brand new procedure, created to be a better solution than dentures. It’s also called Teeth -in -One day. During the procedure, our dentists work with oral surgery experts to place implants that fuse with your jawbone over time. In fact, these implants hold up like permanent teeth, that you never have to remove. Instead, you take care of them like normal teeth, and they remain in your mouth for the rest of your life. 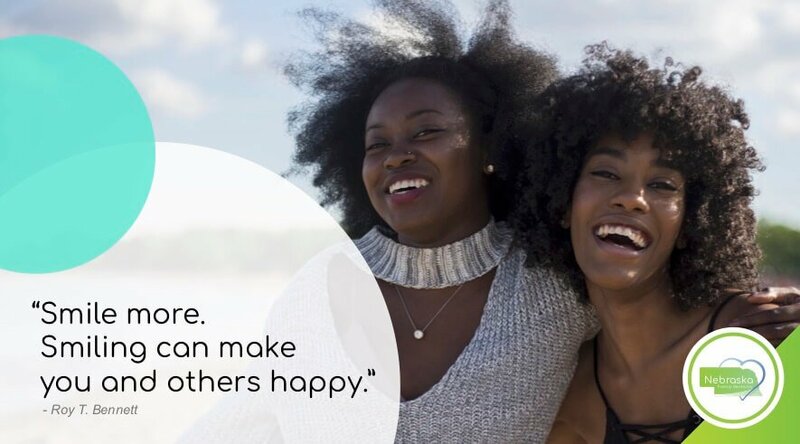 If you’re interested in a Hybrid Prosthesis, ask our dentists in Lincoln, NE about it next time you come in, or schedule a free consultation today. 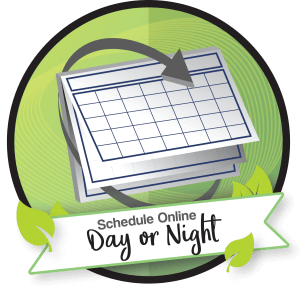 Feel free to give us a call, and we’d be happy to talk to you about the ins and outs of the procedure.